Nutrition Pure and Simple Blog: Are you taking prescription drugs - and/or Nutritional Supplements - and/or Herbs? Are you taking prescription drugs - and/or Nutritional Supplements - and/or Herbs? There are some things You Need to Know. It is strongly recommended that a qualified health care provider evaluate your nutritional needs and coordinate a nutritional program with Medical considerations. For optimum benefit, all nutrients must be present and in proper balance daily. B vitamins are generally safe, but should be used in balance. High levels of vitamin B6, for example, can cause neurologic symptoms and problems. High levels of Folic Acid can mask a B12 deficiency. Ultra Vites, Ultra Preventive and Ultra Preventive + Iron contain 1000 mcg of Vitamin B12 to balance Folic Acid. Yes, supplements and drugs can work synergistically, but they can have adverse reactions as well as good results. Example of a good result: the use of a probiotic with antibiotics may decrease the instance of diarrhea and colon irritation that can be caused by the use of broad spectrum antibiotics. Example of a bad result: the action of some nutrients can interfere with some drugs used for chemotherapy. Drugs and Nutrients Interact. for example, Statin drugs reduce the formation of coenzyme Q10 in the body. Here is an example of potential problems from the most widely used prescription drug: Statins. The statin class of drugs, such as Lipitor, Zocor, Pravachol or Crestor are commonly used to control hyperlipidemia. Statin drugs are HMG Co-A reductase inhibitors and can reduce the formation of CoQ10. The use of Ultra CoQ10-100 can minimize this reaction. Where the statin drugs lower cholesterol levels there are significant side effects affecting muscle physiology. There are noted frequent side effects from statin drugs, such as flu like symptoms, myopathy, myositis, peripheral neuropathy, and muscle wasting disease. Consider natural remedies for hyperlipidemia. A single vitamin or mineral should not be used by itself: for instance, when high levels of zinc are used zinc needs to be balanced with copper and other minerals We recommend a highly researched multi vitamin such as Ultra Vites before using a higher level of any individual nutrient. The effects of high levels of supplements needs to be evaluated. #1: herbs are natural, therefore safe. Herbs have been used for centuries to help people solve many health problems. In fact, their use is the basis for modern medicine. Herbal lore attributes different properties to different parts of plants, and many herbs operate synergistically with other herbs and nutrients. Jean-Claude LaPraz, MD is a pioneer who promotes the concept of using the ‘wisdom of the plant’ to affect and normalize body systems. Be aware, however, that there can be adverse reactions to herbs. In addition, there are herb/herb, herb/drug and herb/nutrient interaction problems. #2: herbs must be standardized. Standardizing means manipulating an herb so that it contains a guaranteed amount of a certain botanical constituent. Plants are very complex chemically. They contain hundreds to thousands of constituents. The majority of plant constituents have yet to be identified or understood by modern science. 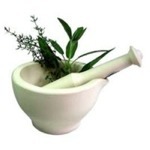 It is the synergy of the various constituents that is responsible for the medicinal activity of herbs “The Standardization of Herbs” from Time Labs contains more information on this issue. #3: your doctor knows what you are taking (medicines and supplements) and knows your complete health history. Very often you are seeing several different doctors for a variety of health issues. In addition, you may be getting prescriptions from different pharmacies. It is possible, therefore, that there is no one person who is coordinating your entire medication, nutritional supplements and herbal intake. Given what we know about nutritional excesses and imbalances, an unsupervised approach to your entire dietary intake may be contributing to your symptoms. Discuss everything you are taking with your qualified health care provider or pharmacist. People taking 6 or more daily medications are more likely to have a negative drug reaction. It is especially important that you learn the consequences of taking multiple drugs as well as potential drug/drug adverse reactions. Do read the information that comes with the prescription. Drugs can Interact w/nutrients. Some nutrients can disable the effect of the drug, and some drugs can interfere with the nutrient. “The Nutritional Cost of Prescription Drugs” is a book which explains how to maintain good nutrition while using prescription drugs, and the various effects these drugs have on nutrition. Paperback, by Ross Pelton, R.Ph. and James B. LaVelle, R.Ph. It lists the drugs and shows how they can affect nutrients. Then it lists nutrients and show which drugs affect them.